Lately, when did you realise that your personal gadgets could increase your efficiency level and make you productive? You have no idea! Do not worry as this piece of writing will change the way you have been handling your personal gadgets. There are many applications out there which could prove to be the best productivity tools in anybody’s life. Before we move ahead, we will do one small exercise. Take out our smartphone and find out how much we use applications which are already installed on our smartphone? It is quite surprising to know that we hardly use 7-10% of the total applications installed, rest all applications are just occupying space. Moreover, hundreds of these unnecessary apps are sending tonnes of notifications to keep us distracted. Does it mean that we move away from technology? No! Things are going to change now. I will show you 7 best productivity tools which could take our productivity to the next level. Todoist is one of my favourite productivity tools when it comes to time management solution. As the name suggests, this tool is a to-do list application and can manage your task as well as monitor productivity meter. 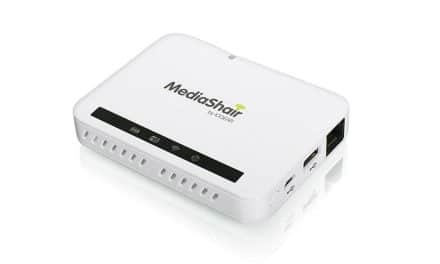 It has a simple and elegant interface, but when it comes to functionality, it is a feature-packed tool. Todoist is a freemium application, but even the free features may suffice most of your needs. 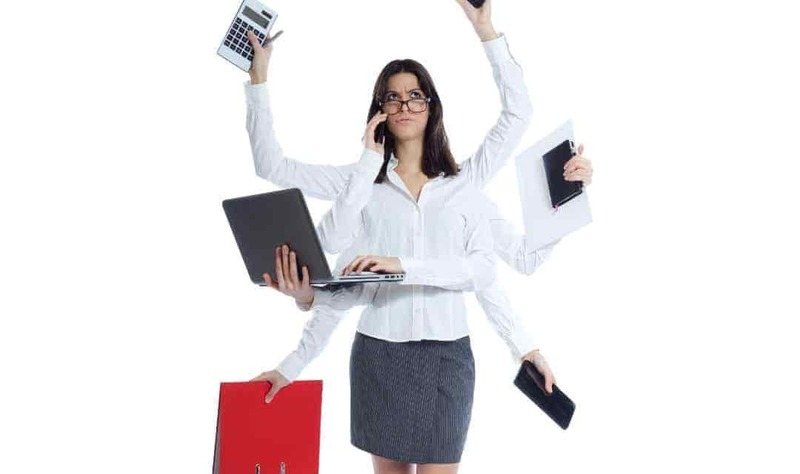 You can create various projects for multiple tasks having deadlines. A typical project on this application could be related to work, activity, fitness regime, shopping, movie and what not. The biggest differentiator of this tool is its collaborating feature. You can share your project with your team and add collaborators. All collaborators have to signup for a Todoist account before they could share a task. Later you can assign different tasks to team members or collaborators. I have seen similar applications, but the biggest downside which I have found in those applications are the absence of filter and prioritisation. 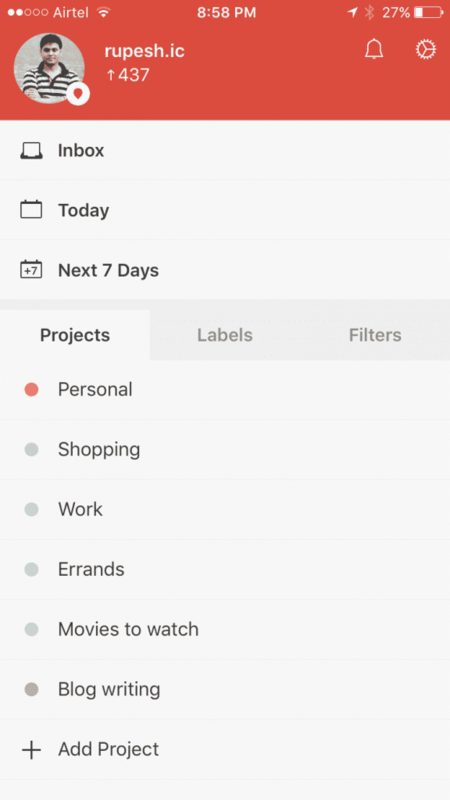 But when it comes to Todoist it is right on top regarding filter and prioritisation facility. You can assign different colours to projects for visual identification. There is also an option to set the priority level for filter purposes. Since Todoist is a cloud-based productivity tool, it can be easily synced across multiple gadgets such as a smartphone, laptop and desktop. Premium or paid features: This productivity tool comes at a price point of $28.8/year. The premium feature includes reminder, location-based reminder, SMS reminder, email notification, push notification, Karma reports, etc. Karma reports will show your productivity graph as performance meter for any given period. It’s my opinion that Todoist is worth every single penny when it comes to squeezing maximum productivity from this tool. IFTTT is an acronym for “If this, then that”. 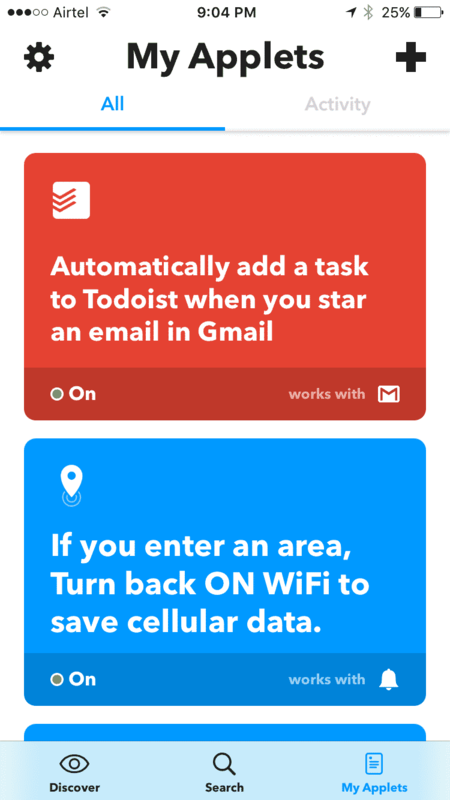 I call IFTTT as Swiss knife of handling small tasks which are otherwise missed or ignored such as turning off wifi when I leave my house. Similarly, there are many such things and I always wondered how to automate little things based on conditions. You may not realise, but you tend to spend a lot of time managing small things manually. IFTTT can work with tonnes of applications like Twitter, Facebook, Google Drive, Gmail, Todoist, Pocket, Home smart device, Amazon Echo, iOS photo album, weather apps, Instagram, etc. If you exit an area, turn off Wi-Fi to save battery power. If you enter an area, turn back on Wi-Fi to save cellular data. Automatically add a task to Todoist when you star-mark an email. Get the weather forecast every day at 7 am. Back up photos, you’re tagged in on Facebook to an iOS photos album. Save all new iOS contacts to a spreadsheet. Automatically save new email attachments in Gmail to Google Drive. Apart from above examples, there are other various pre-made smart applets available on IFTTT. You also have an option to create custom applets based on your requirements. Paid or Free: IFTTT is a free productivity application. Just hold on for few seconds and think how much time do you spend on Emails? Heck! It’s 45%-50% of your total time. At least I spend most of my time keeping track of important emails, flagging emails for later attention and even creating infinite follow-up folders. That’s too much of work with Email. Boomerang is one productivity application which will make your Emailing process a breeze. Boomerang will help you to schedule your emails to send at a particular day and time. You can even snooze messages, get read receipts & follow up reminders if someone has not responded to your email. There is an option called ‘Boomerang’ your message. This feature will help you boomerang any read or unread email after stipulated time right on top of your inbox. Boomerang has inbuilt artificial intelligence feature which will make your email writing effective. However, this feature is part of the paid plan. You can use Boomerang with Gmail, Outlook, Android and other platforms. Paid or free: Boomerang is a Freemium productivity application where the free option has limited 10 message credit. Also, you may not be able to use certain features like respondable, recurring messages, etc. But they provide 30 days’ trial access without any credit card details which will give you a feel for the whole application. Boomerang PRO subscription cost is around $14.99/month. Boomerang free alternative: If you are someone who does not want to shed money and yet want to use essential features like scheduling and tracking, then SalesHandy is a good alternative. SalesHandy has a free plan with unlimited message credit with functionalities such as email open tracking & scheduling. Evernote is one application which I downloaded a few years ago, but very soon I uninstalled it. You may ask what the reason was? Well, I was ignorant. I did not give enough time to understand this feature-packed productivity tool. But recently I came to know in and out of Evernote and now I cannot see my productivity tool list complete without this tool. I am sure there are many out there who might even wonder why Evernote is highly rated at first place? So, let us delve deep into its features. Evernote is a cross-platform application which has support for tonnes of devices like smartphone, laptop & tablets. It acts as digital archives, note-taking tool, website snapshots, etc. You can create various notebooks and organise your content accordingly. 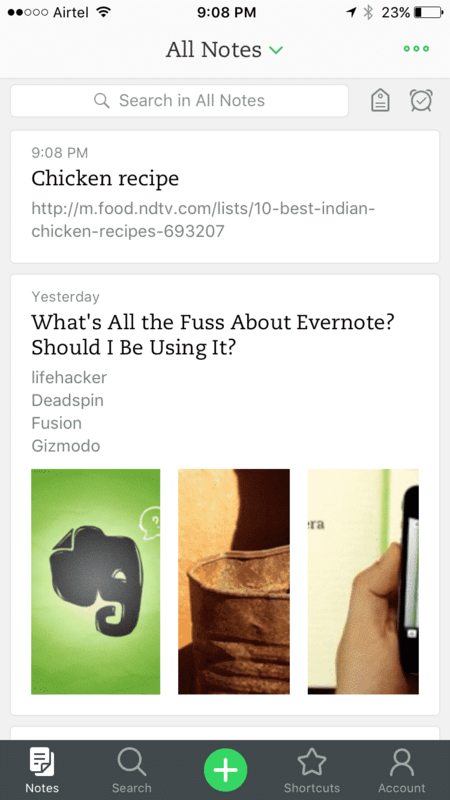 For example, you can copy and paste different recipes from several websites and keep them organised in Evernote. Creating a project and maintaining to-do list is also quite handy in Evernote. On the top, it’s accessible wherever you move. I can quote a recent example where I was researching for buying a new car. But at that time, I was in no mood to purchase instantly. I came across many useful websites pouring reviews and insights. I created a notebook in Evernote and named it “New Car”. Evernote has a functionality called Web Clipper which you can install on Chrome as an extension. Web clipper will enable you to capture websites in the form of snapshots or full page. Within few days I had all good websites clipped into Evernote Notebook. After a month, I could again refer all saved websites across all my devices. I see Evernote helping the environment in a big way. You can go paperless with the help of Evernote. Isn’t it amazing! Paid or free: Evernote has some advance paid feature like offline reading, more than 60MB upload per month, etc. But I am sure free option will cover most of your requirements. If not then Evernote middle tier, which is a 1GB plan, costs around $34.99/year. Most of us have Gmail account and access to all Google family members including Google Drive. But how many of us know other aspects of Google drive except cloud storage functionality? Currently, you can send email on Gmail with an attachment size, not more than 25MB. Let’s say you have requirement of sending 1GB data over email. With the help of Google Drive, you can easily upload your document and later attach link in your Gmail message. There is a Chrome extension available for Google Drive. Google Drive extension will help in saving images and websites in Google drive. You can even use tagging feature for easier identification and search. Google Drive is a cloud-based tool, and it has accessibility over various platforms. Uploaded documents can be easily shared with people with ‘Read’ or ‘Write’ access. This functionality comes in handy if you have a team working on any particular idea or project. 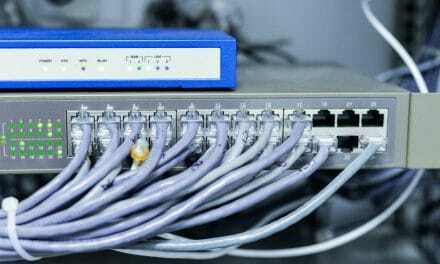 Many times, we may not have all required softwares installed locally on our laptops or desktops. Google drive has an inbuilt feature where you can open incompatible file types. I can quote numerous occasions where Google Drive rescued me. We worry too much about typos while writing Email or piece of work. It does not matter whether you are a native or a non-native English speaker, after all we are human beings and we make mistakes. Proofreading becomes challenging because it’s difficult to find out our mistakes quickly. Grammarly is excellent proofreading tool which can find out errors while you type in MS Word, Outlook, Gmail or anywhere on the internet. You just have to install Grammarly extension on Chrome, Outlook and MS Word. 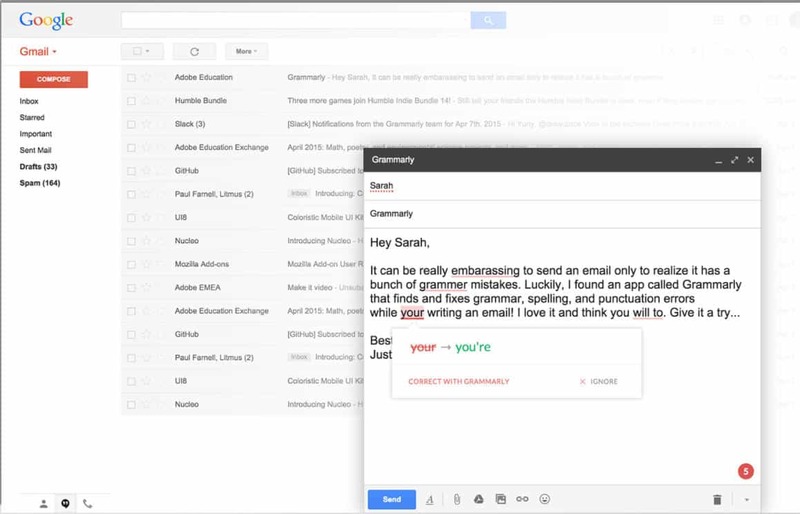 Paid or Free: Grammarly will check for standard errors like spellings, punctuations, etc. in free version. Paid version has advanced checking facility like sentence formation, modifiers, plagiarism, etc. Premium or paid plan is around $139.95/year. Pocket is the best alternative of traditional bookmarks. 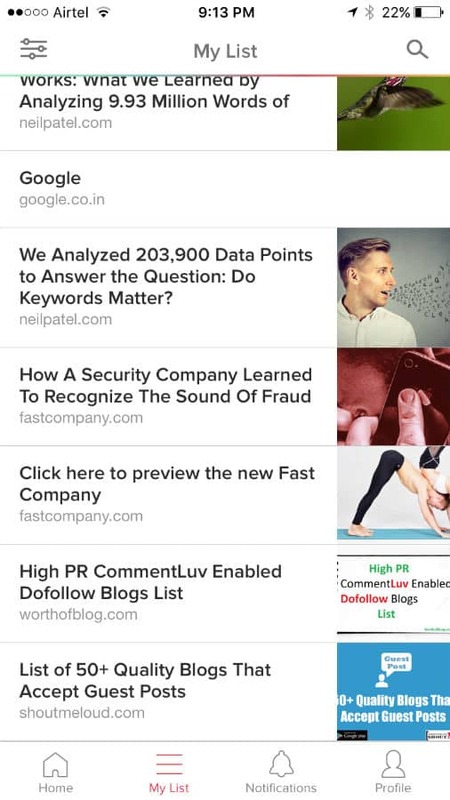 Sometimes you come across something valuable on the internet but do not have time to read, then you can use this application to Pocket and read later. Pocket is an application which is available on cross-platform like iPhone, iPad, Android, Web browser, etc. After you install Pocket on Chrome, you just have to right click on the article or video to put it in Pocket. If you have something in Pocket, then it is accessible from each and every device having Pocket installed. Pocket has offline viewing functionality free whereas Evernote requires paid subscription to access this feature. So if you are going to catch a flight and wish to read your pocketed articles, then offline viewing will come in handy. You can use tagging facility to tag contents while pocketing. This feature will help you while you search for something in Pocket application. Till date, you have been keeping unnecessary apps on your personal gadgets which kept you distracted and at the same time occupied additional space in your gadget. Now the time has come to make some useful replacements from above suggested productive applications. 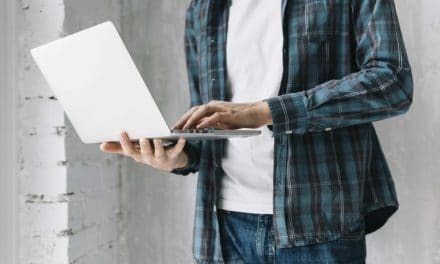 If you know any other productive tool which could be a nice addition to above mentioned productivity tools, then please let me know your suggestions in the comment section below.